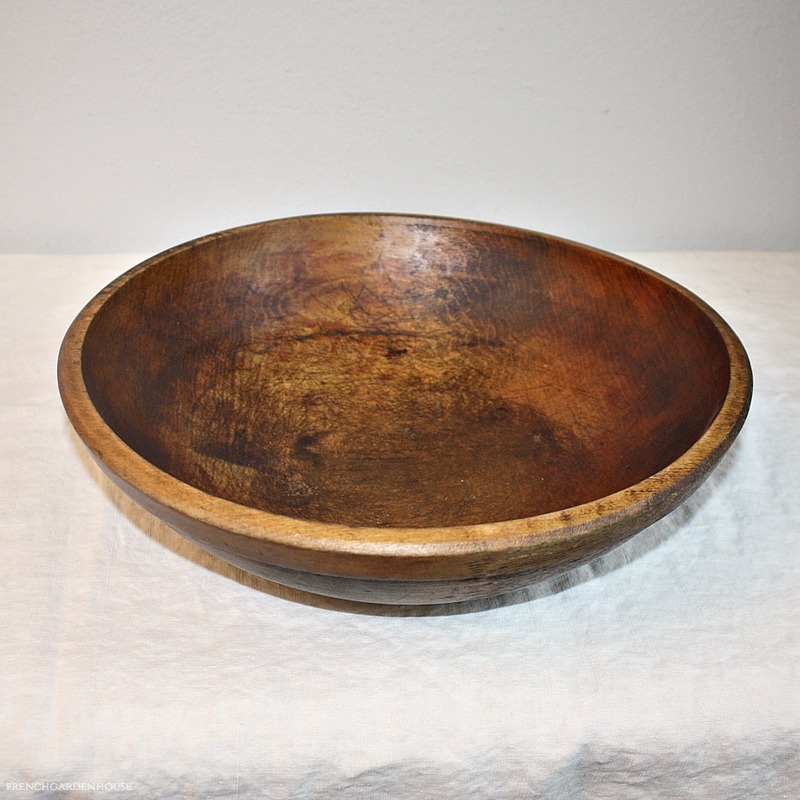 Gorgeous 19th Century Hand Turned Chopping Bowl, sometimes referred to as a Butter Bowl, with the most glorious wear and patina only time can achieve. 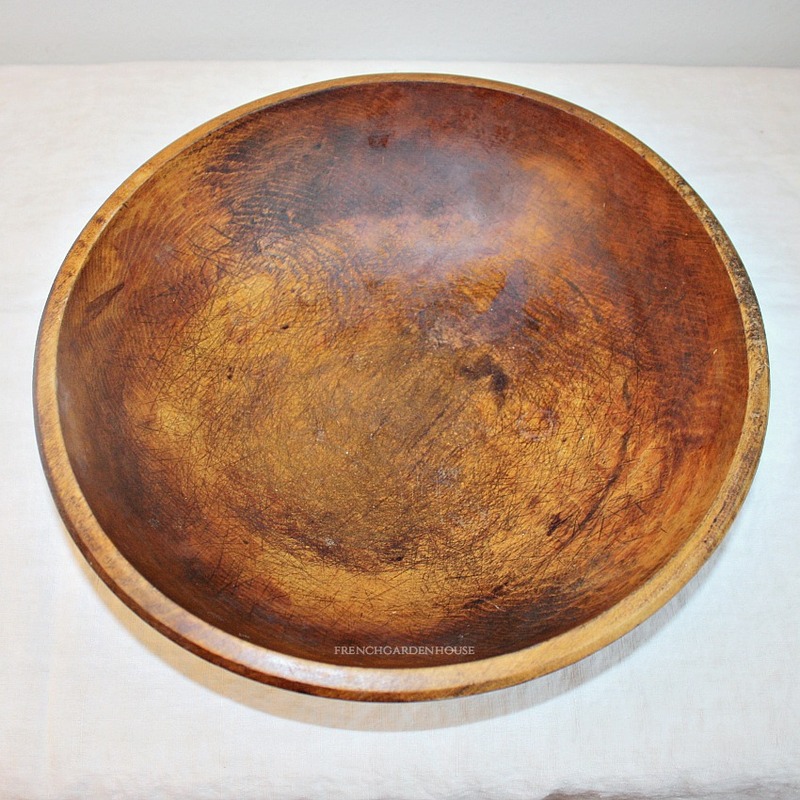 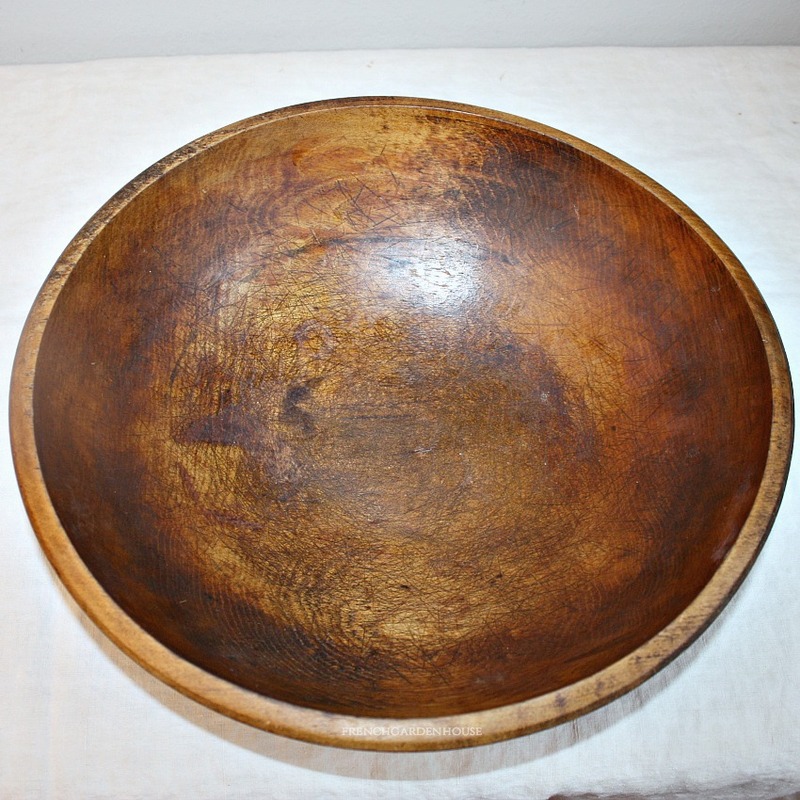 Over the years it has achieved a slightly oval shape, which you want to see in a truly authentic antique wooden bowl. 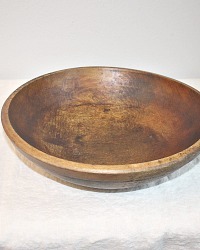 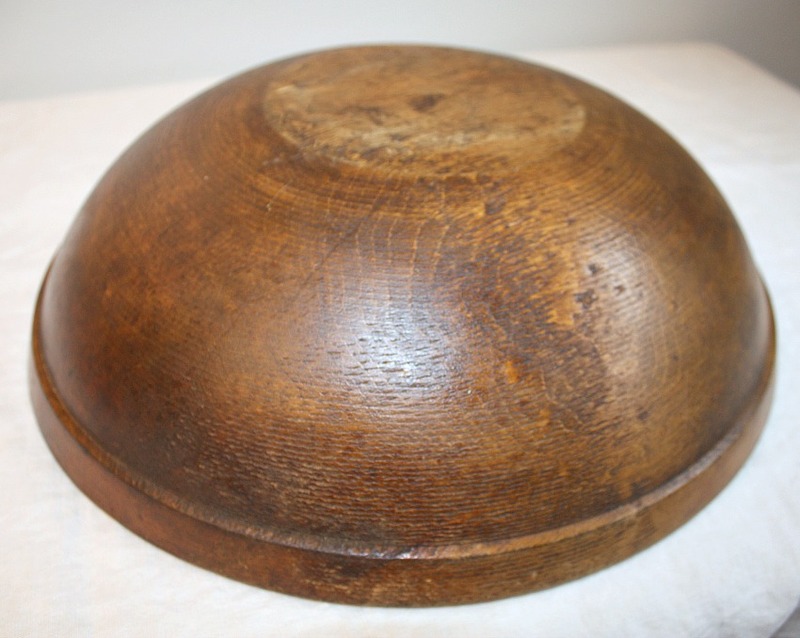 The exterior wood grain and early lathe marks can be seen and felt in this early treenware bowl. 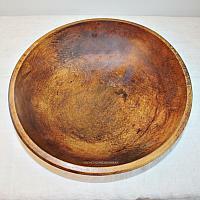 Rich dark color, wear and scratches on the inside from decades upon decades of use. 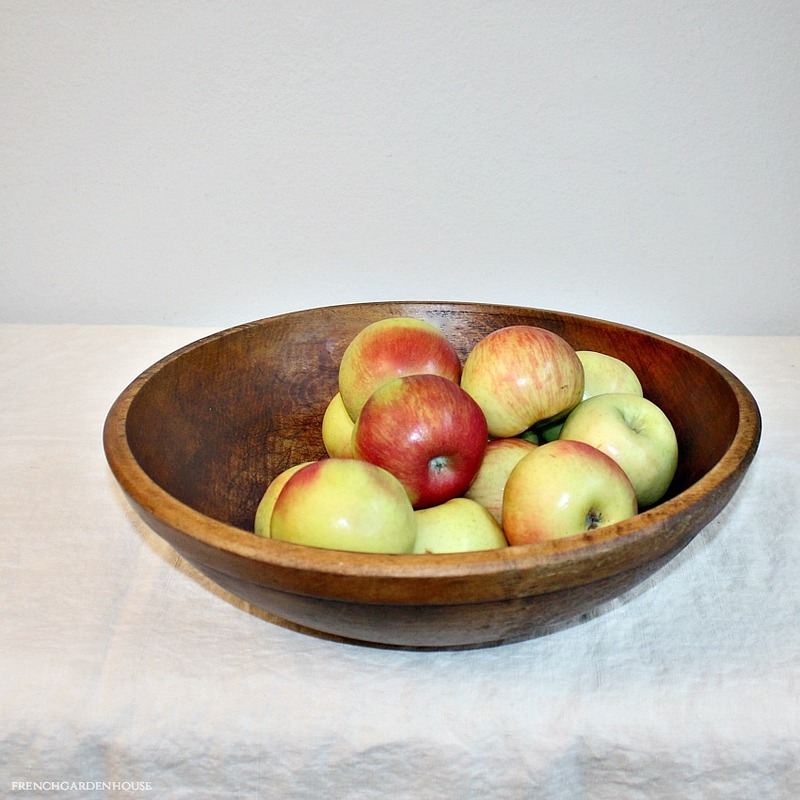 A fabulous decorative accent for your French Country home, to display on your farm table with fruit, or just to display empty, as a sculptural work of art. 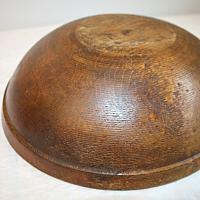 Measures 13-1/4" x 12-1/2" x 4"h.